Why we love it: The Fall of Lisa Bellow is a thoughtful and powerful novel about the spiraling effects of two random calamities on one ordinary family. With her insightful depiction of growing up and parenting, written with delicate humour and skillful characterisation, Susan Perabo delivers a touching, elegant story in an original way. The Lisa Bellow of the title is the archetypal mean schoolgirl – 14-years-old, slender, popular and very beautiful – but despite being central to this novel in many ways, it’s one of the uncool girls that this novel is about. Meredith Oliver is in grade eight at the same middle school as Lisa Bellow. Their paths rarely cross even though Lisa and Meredith have adjoining lockers, but Lisa is way too cool to deign to look at Meredith – except for one time when she teases her in front of the whole school, a humiliation Meredith can’t forget. When, by a twist of fate, the two end up in a sandwich shop after school and it’s held up by a masked robber, Lisa Bellow is the one the masked man chooses to kidnap. In a terrifying ordeal, Meredith is left on the floor wondering what’s happening, and she’s the one who must return to school and take Lisa’s place among the cool set. As each day passes, the mystery of Lisa’s disappearance deepens. Meredith becomes obsessed with Lisa Bellow, the girl she hated, and becomes embroiled in Lisa’s life – she is appropriated by Lisa’s friends and befriended by Lisa’s mother, a single mother desperately missing her daughter. Meanwhile, Meredith’s own family mourn the loss of Meredith, who despite having eluded a kidnapping, is lost in other ways. She spends most of her time in her room obsessing over the kidnapping, imagining what may have happened if the robber had taken them both. 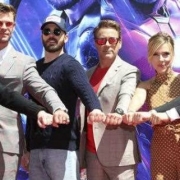 Meredith’s parents don’t know how to handle their daughter anymore; Meredith’s crisis has come less than a year after her beloved elder brother, a star baseball player, lost his eye in a devastating baseball accident that almost destroyed him. The Fall of Lisa Bellow is a book about growing up and parenting at the same time – and it’s interesting that we get both point-of-views, that of Meredith and her mother Claire, throughout the novel. We can feel how her mother’s smothering – and her obvious attempts not to smother – grate on Meredith’s nerves and yet we sympathise with Claire Oliver, a professional woman who shares a busy dentistry practice with her husband, a man who is consistently positive but whose cheery-in-the-face-of-crisis demeanour is beginning to annoy Claire. Having to handle this strange crisis so soon after what happened to her son and having to deal with a thirteen year-old girl who is struggling to come back to reality, is a predicament she never could have foreseen and doesn’t know how to handle. Lisa Perabo handles both mother and daughter with deft characterisation and subtle humour. 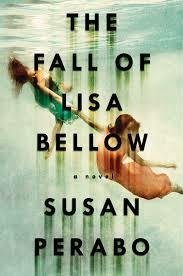 We highly recommend The Fall of Lisa Bellow. Start reading the first chapter right now, or click here to purchase your copy!